Mayor Kevin Faulconer has joined the consuls general representing Mexico and the United States to promote the annual Tijuana Innovadora event next month. Tijuana Innovadora Creativa 2016 will draw international attention to the Mexican city’s innovations in technology, art, business, food, fashion and environmental sustainability. The event will take place from Nov. 3 through Nov. 10 at Tijuana’s World Trade Center and interactive science museum, El Trompo. 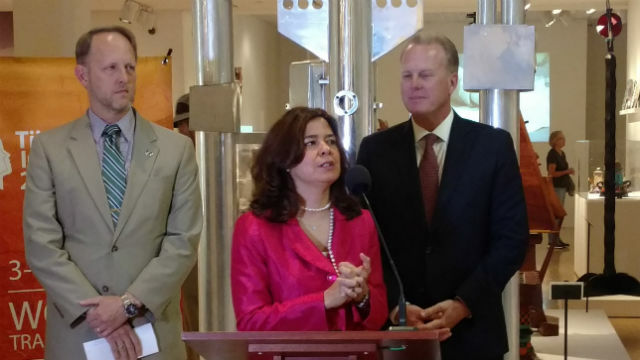 Faulconer appeared at a press conference Thursday at the Mingei International Museum in Balboa Park to lend support for the event, and announced a special cross-border shuttle for San Diego attendees. During the conference, San Diegans can park at Balboa Park and take shuttles across the border to the conference, with expedited customs processing.